Former minister Dr Bheri Ramsaran will be going to trial for allegedly using insulting language against rights activist Sherlina Nageer after his lawyers lost a bid to have the charge dismissed. Justice Roxane George dismissed the motion, which had been filed by Ramsaran’s lawyers, who had argued that prosecution did not have sufficient evidence to proceed with a full trial. 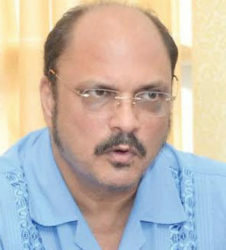 Stabroek News was told that arguments were presented by the office of Director of Public Prosecutions on behalf of the police as well as by Ramsaran’s lawyers, Mursaline Bacchus and Adrian Anamayah. As a result of the decision, Ramsaran is expected to go on trial in the Whim Magistrate’s Court. Ramsaran was charged in July, 2015, with the offence but in September, through his lawyers, Bacchus and Anamayah, filed a motion in the High Court to get the charge dismissed. Anamayah had told reporters that the decision to file the motion was based on the evidence presented to the defence by the prosecution. Ramsaran had pleaded guilty to the charge and was released on his own recognisance when he was charged before Magistrate Charlyn Artiga. In April last year at Whim, Ramsaran was recorded verbally abusing Nageer, saying he would slap her for the fun of it and have her stripped in a public place. 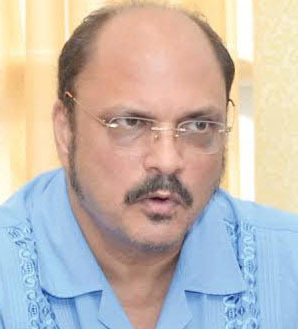 Ramsaran had journeyed to Whim to support former president Bharrat Jagdeo, who was expected to attend the court to answer a private criminal charge filed against him by attorney at law Christopher Ram. The confrontation occurred after the minister labelled Ram a “wife beater” while being interviewed by reporters. Nageer interjected and proceeded to confront him about the deaths of women and children in the health care system under his watch. At this point Ramsaran could be heard calling Nageer a “piece of sh%t” and an “idiot” before asking her to get out of his face. After the recording of the exchange between the minister and Nageer began circulating in the public, Ramsaran issued an apology, in which he claimed to have been provoked into anger and uttered harsh words that he regretted. However, the day after, the minister was recorded at a health forum calling Nageer a “miscreant,” accusing her of spitting on him and saying she was in need of psychiatric help. After the first episode, Nageer made a report to the police. In her statement which was filed with the Crime Chief on April 27, she said that at one point during the confrontation she felt threatened by Ramsaran, as it appeared as though he wanted to hit her.